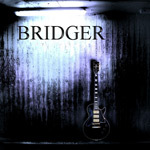 Bridger is the namesake solo album from guitarist Glen Bridger. Glen steps out of his role as the current lead guitarist for classic rock band Head East to offer ten original songs of AOR and melodic rock, and one tribute song. Vocals are handled by Terry Ilous (XYZ, Great White), bass by fellow Head East mate Greg Manahan, keyboards by Sam McCaslin (Michael Schenker, Carmen Appice), and oddly named fellow, Danzoid, on drums. Of course, a solo album is to feature the principle player, and Bridger's skills as song composer and guitarist are quite impressive throughout. He successfully navigates the music he knows best, melodic hard rock in the AOR vein. There rock anthems ready arena play in Tuesday Afternoon, How Long, and Good To Be Home. Rock rules on the heavier, but instantly accessible, Don't Push Me and the smoother Gonna Get Better. Bridger has an uncanny ability to weave tight melodies, a rock groove, and mammoth hooks in all these songs. Yet, Bridger offers some blues flavor, the ballad-like number On the Ledge. To the ballads, Without a Sound, Live for the Moment, and Once in a Lifetime balance skillful song craftsmanship, usually the blend of acoustic guitar with vocals, with necessary emotion. However, with all this praise for his skills, I think Bridger is upstaged on this debut by his lead vocalist Terry Ilous. His ability to move from the smooth sensuality of Live for the Moment to assertive rocker on Don't Push Me, as only two examples, is simply masterful. Frankly, his contribution is quite significant; I wonder if Bridger would have sounded this good with somebody else behind the microphone. As a final note, Bridger in company pay tribute to Ronnie James Dio by covering his classic song for Black Sabbath, Heaven and Hell. Call it Sabbath 'light' or an AOR version and, leave it at that. But, it is good. Glenn Bridger's self-titled solo debut is a striking and entertaining platter of well composed and well played AOR melodic rock, only made better by the vocal performance of Terry Ilous. Strongly recommended.